Leigh F. Groves, born in Kinder, Louisiana, May 30, 1970, was admitted to the Louisiana bar in 1995 and the Texas bar in 1996. Leigh is admitted to the U.S. Court of Appeals, Fifth Circuit and U.S. District Court, Middle, Eastern and Western Districts of Louisiana and in the U.S. District Courts in the Eastern, Western, Southern, and Northern Districts of Texas. Leigh has successfully defended architects, engineers, accountants, and other professionals, as well as large corporate clients, in complex litigation matters in Louisiana state and federal courts, and before independently selected arbitration panels, and state administrative panels and commissions. Many of these cases were document intensive requiring review, evaluation and organization of hundreds of thousands of pages of documents and analysis of complex legal statutes and regulations. 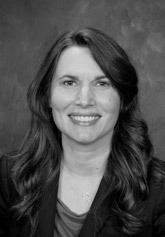 Leigh’s clients are often exposed to large monetary judgments that also involve high-profile and politically charged issues that require Leigh to maintain close contact with her clients to develop a meaningful defense while understanding the impact of the litigation on her client’s reputation and current/future business practices.